On 8 May 2017 Risknowlogy Middle East organised the 4th PRIME INTELLIGENCE event in Dubai. PRIME INTELLIGENCE came to town for the first time in Dubai. The participants represented companies such as ADCO, ADNOC, Al Ashjan, McDermott, Safe Controls, Towers Technology, to name but a few. 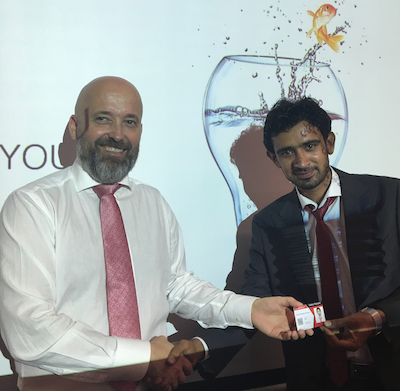 The highlight of the day was Mr. Soomro from Towers Technology, Dubai, who was presented with his personal Safety Passport ID card. Mr. Soomro can enjoy his card and use it to demonstrate his competency for safety meetings, projects and events. The card has an QR code which links it to his personal Safety Passport keeping recording track of his proficiency.